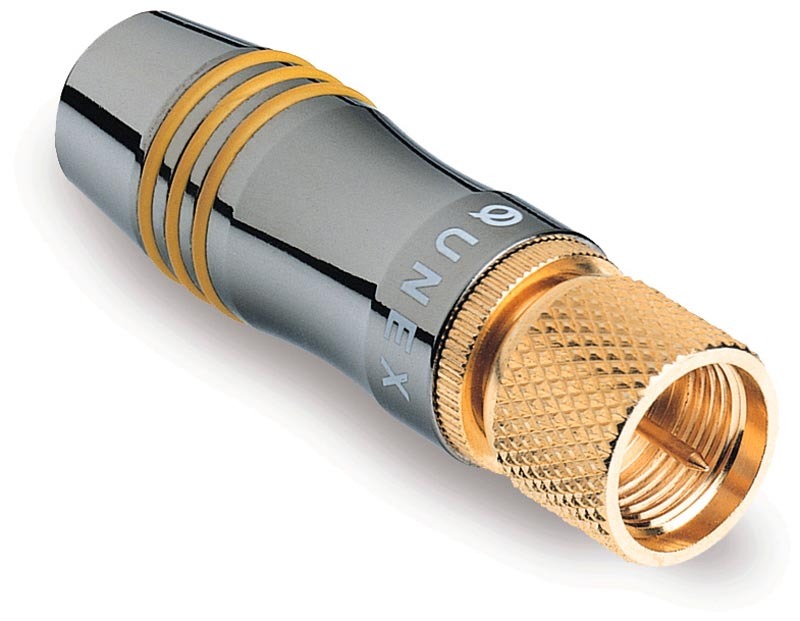 The IXOS High Performance Quad Shielded Satellite Cable offers the best level of noise immunity for superb colour and image definition. 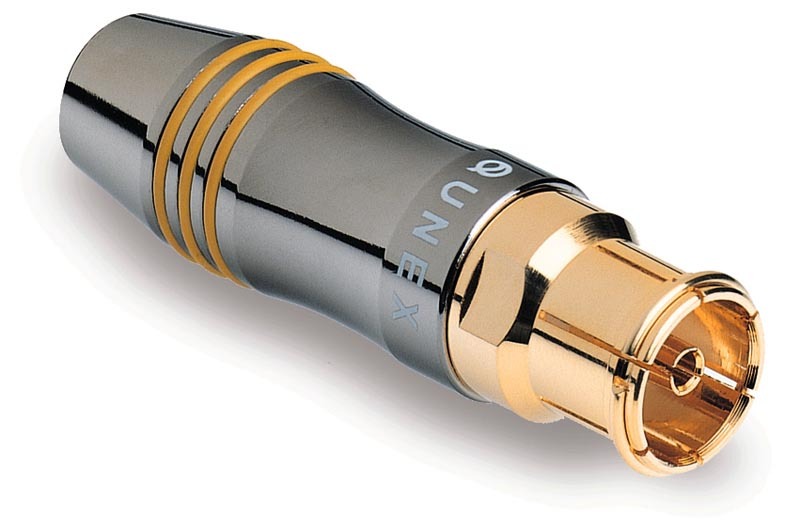 Gold Plated F-Connectors are used to maximise signal transfer and ensure a reliable long-term connection. 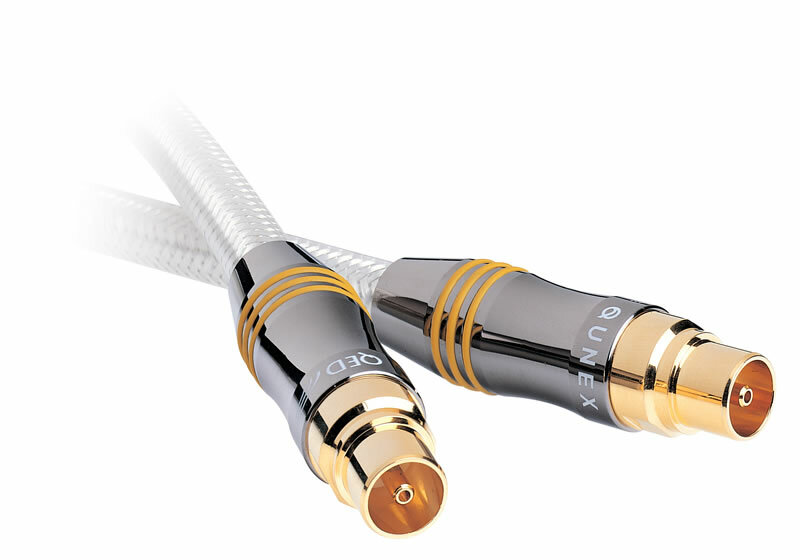 A true 75 Ohm cable construction ensures faithful picture and sound transmission. 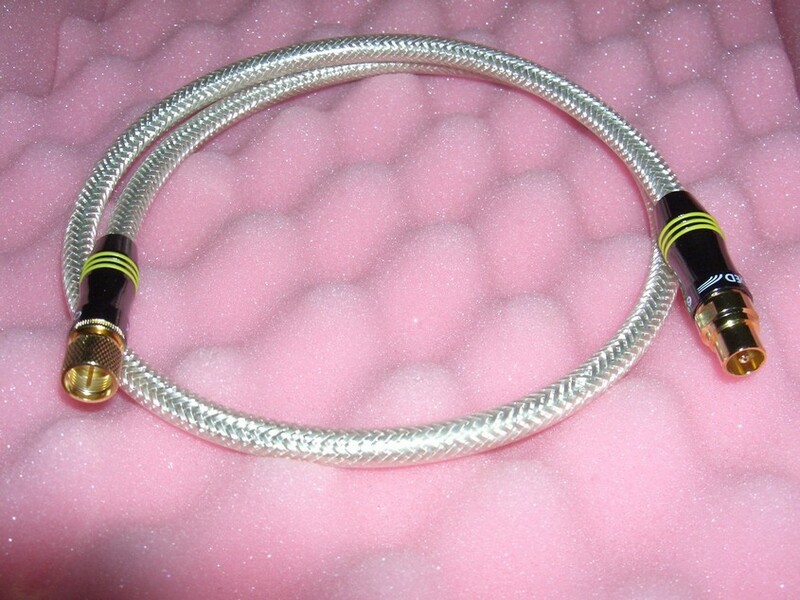 Two aluminium braids are used in conjunction with two Aluminium-Mylar foils to completely eradicate RF induced noise and deliver an extra clean signal. 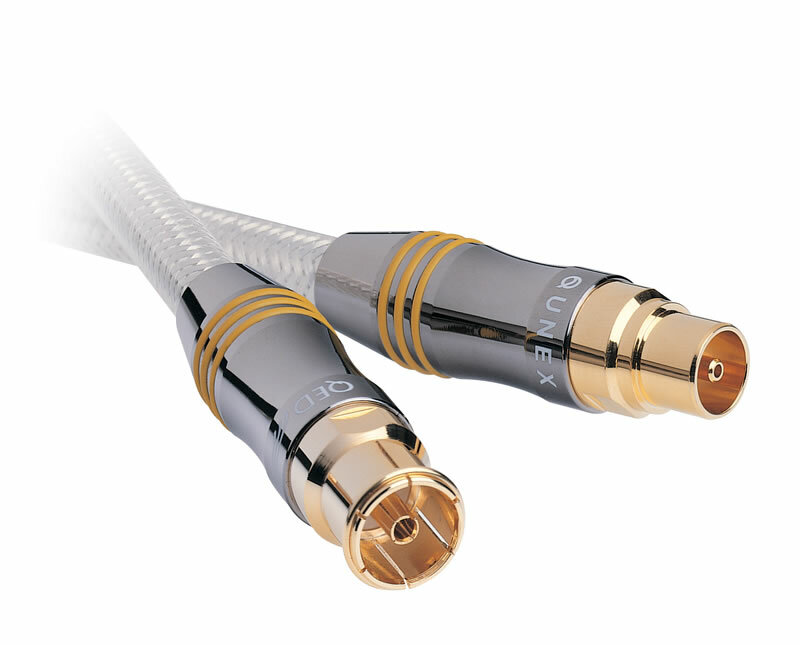 A 18 gauge centre high purity solid core copper conductor allows higher bandwidth than standard cables. 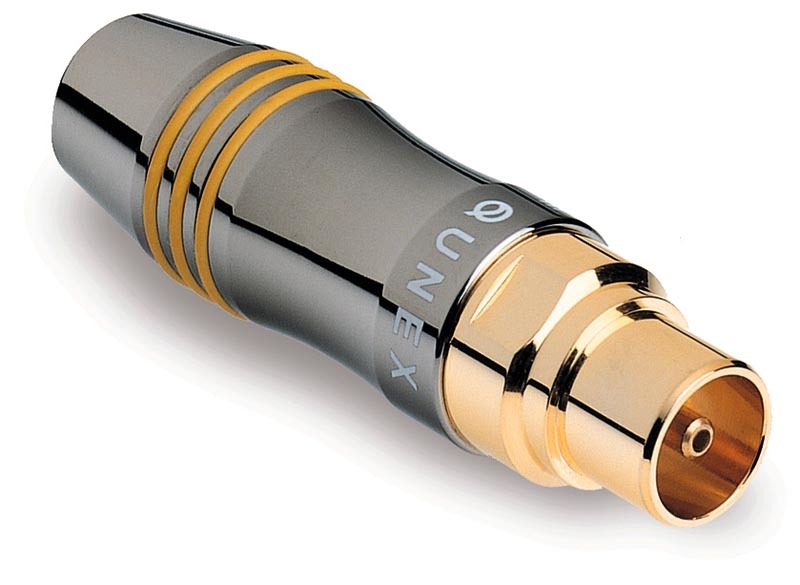 This cable has the hallmarks of a quality product with robustly designed plugs that deliver superb interference free images and sound. 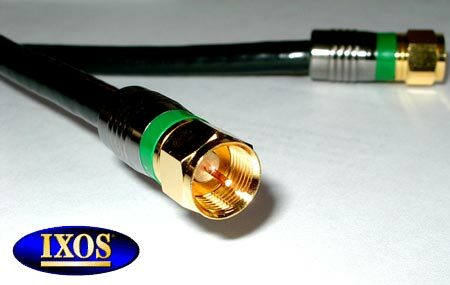 Ideal for LNB connections on Sky Digital, Sky+ NTL, Telewest and other satellite receivers. 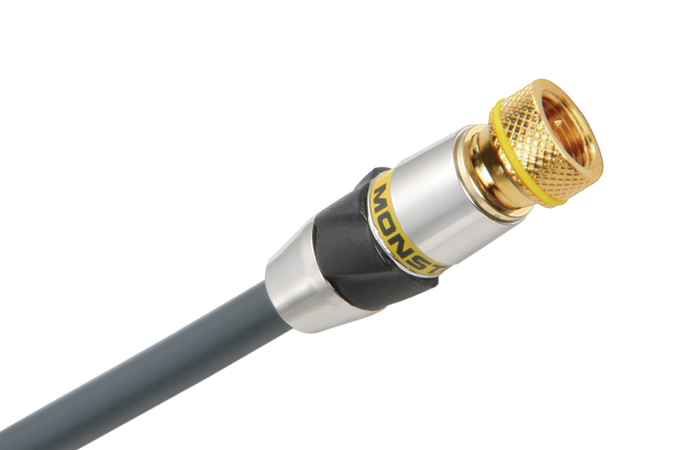 Perfect for high end custom installs over short or long cable runs and most digital/analogue audio and video applications including aerial & satellite connections between your home cinema equipment. Full 360° electrical continuity even under punishing conditions. Pullout strength can also withstand more than 80 pounds of force. 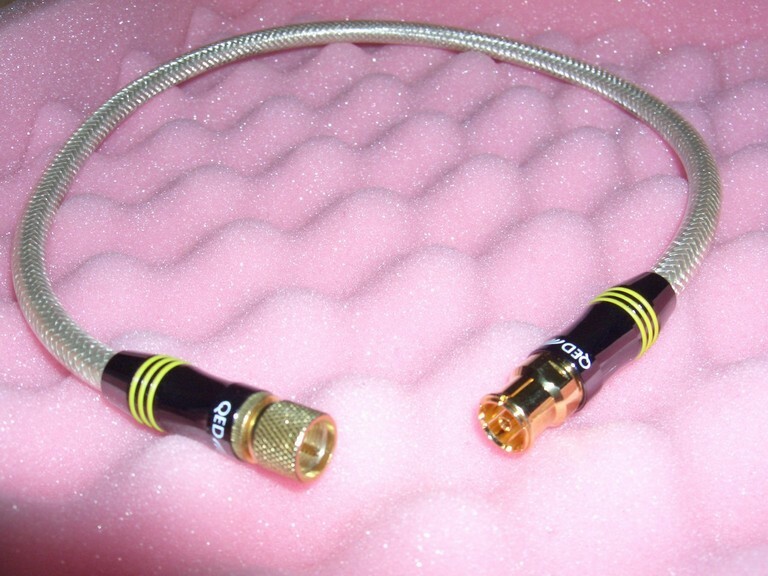 Radial design reduces the possibility of an impedance problem and can defeat ingress/egress at the connector.